Tennis is not only a great game to play or watch, but it’s a great game for betting on as well. Two players, head to head, with no team to back them up. No other sport requires as much skill and heart from a single player. Injuries, fitness, and desire to win play a major role in this single player, highly athletic game. These unique aspects of tennis make it a drama filled sport, and even more dramatic when you have money on the line. Those who follow the sports closely and do their research, have a big advantage over those who don’t. For bettors outside the United States, you can sign up at any of the online bookmakers listed on this site. For those living inside the U.S. make sure the sportsbook you’re considering accepts U.S. bettors before trying to register. You can view all of our recommended online sportsbooks on our Online Bookmakers page. Of course, the most obvious ways to bet on tennis are to pick the overall winner of the tournament, and on individual matches. Betting on individual tennis matches is straight-up, on the money line. Most online sportsbooks also offer betting on who will win the first set, and if the match will go 2 or three sets for women, and 3, 4, or 5 sets for men. Some bettors like to make parlay bets as well, giving them the chance to turn a small wager into a large win. Futures bets on who will finish the season #1 in the world, and a variety of prop bets can be found as well. While it can be difficult to predict the winner of a tournament, the payouts can be good if you win. It’s not always a good idea to bet on the favorite. In tennis anything can happen. If the 3/2 favorite comes down with an illness, gets injured, or has an off day, the bet is lost. If the #3 seed at 6/1 comes through and wins, those who bet on him will make a nice payday. How Do Money Line Bets Work? Money line bets are straight-up bets on who will win the match. Favorites are given negative (-) money lines, and underdogs are indicated with positive (+) money lines. Both lines are based around the $100 figure, but the numbers mean different things. Negative money lines indicate the amount of money needed to wager in order to win $100 in profit. So, in the example above, it would require a $120 wager on Rafael Nadal to win $100 in profit, for a total payout of $220. Positive money lines indicate the amount of money that would be won from a $100 wager. In the example above, a $100 bet on Roger Federer would result in a $140 profit if he wins the match, for a total payout of $240. The $100 figure is used for simplicity of calculating the math only. They do not mean that bets of that size are required. Futures bets for tennis can be fun, and often very predictable. In some years, it’s easy to pick who will end up #1, based on previous years. 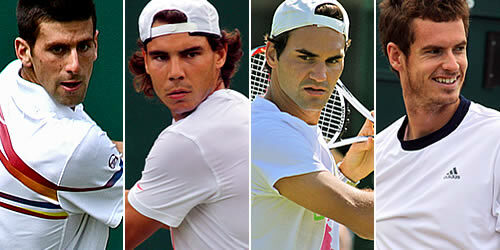 For example, in ATP men’s tennis, Roger Federer was #1 for several years in a row, then it was Rafael Nadal. In 2013, it’s a bit more interesting, with Novak Djokovic and Andy Murray taking their games to a new level, Federer showing a resurgence in form and Rafael Nadal still plagued by injuries. Most online bookmakers offer futures bets for the end of year WTA and ATP #1 player. Many also offer futures on how many Grand Slam tournaments different players will win. If you follow tennis closely, some futures bets can offer good value. Consider a few things before placing your bets. Does this player enter a high number of tournaments? Some players enter a high number of tournaments, and often don’t have to face top players in the world. This means they have a chance at winning several smaller events, helping them rank higher. An example on the opposite end of the spectrum would be the Williams sisters, who have been playing in fewer and fewer tournaments later in their careers. Both of them focus on the majors, and enter fewer tournaments per year. While Serena may be the best player in the world, this doesn’t mean she’ll win the #1 ranking. Past injuries. If a player has a history of getting injured, obviously this could hurt their chances of rising to #1. If they can’t play, they can’t win. Age is an important factor in tennis. In baseball or basketball, most players are in their prime from around 25-33 years of age. In tennis however, a 33 year old player is a dinosaur. Most tennis players are their best in their early to mid 20’s, and begin going downhill around 27-28 years old. Look more at up and coming players, rather than older players on their way down. Did your player sign a contract with a new racket manufacturer? This might sound strange, but many players have a tough year right after signing with a new racket company. If they were #3 last year, then changed their racket this year, it could take them several months before getting their racket tweaked to how they feel comfortable. If a player is using a new racket, wait until they’ve played in a few events to see how they’re doing with it. If they’re doing well, then go for it. If not, you may want to stay away from them. Parlay bets are bets where multiple players are picked to win their matches, and combined onto a single betting ticket. Instead of betting on them individually, they can be put onto a single ticket, where much better odds can be had. The downside to a parlay is that every player on the ticket must win their match, otherwise the entire bet is lost. Parlays are a great way to increase your odds on heavy favorites, without risking too much money. For smart parlay bets, keep them down to just 2-3 players, and consider adding one small underdog to a ticket. For example, pick 2 heavy favorites who should definitely win their matches, then add a player who is something in the +130 to +150 range (someone you think has a good chance to win). This will make a significant difference on your parlay odds, and only give you one match to pray for. Who will win the first set? Will the match go 2 or 3 sets (women’s tennis), and 3, 4, or 5 sets for men’s tennis. What country will the winner come from? Awesome site for tennis specials, live betting and exotic bets, as well as watching free live streams of matches. Cover all the smaller tennis events that can be easier to profit from as lines are not as efficient. We rank the top tennis bookmakers based on a number of factors. These include juice, betting options, tournaments offered, and more. We only recommend the most secure books where we don’t have to worry about our money or cashouts. #1 – Betfred.com: No U.S. bettors. High volume of WTA & ATP tennis betting options, low juice, early lines. All standard tennis betting options. Live betting. A+ customer support. Plenty of simple deposit methods. #2 – Bet365.com: No U.S. bettors. 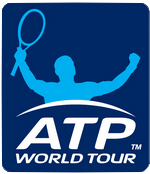 Bets offered for all ATP & WTA events, known for offering lots of prop bets and live betting for big matches. Excellent customer support. #3 – 188bet.com: Lot’s of tennis betting lines, low-average juice, some of the earliest tennis lines. All typical tennis betting options, plus lots of prop bets as well. Nice live betting selection. All Grand Slam events, most ATP & WTA events. Plenty of simple deposit options. Excellent customer support staff. In tennis betting, handicappers need to know which types of statistics to pay attention to. Unlike team sports where small weaknesses can be absorbed by strengths in other areas, small weaknesses in tennis can easily be the difference between a win or a loss. Most players have a particular surface they do best on. 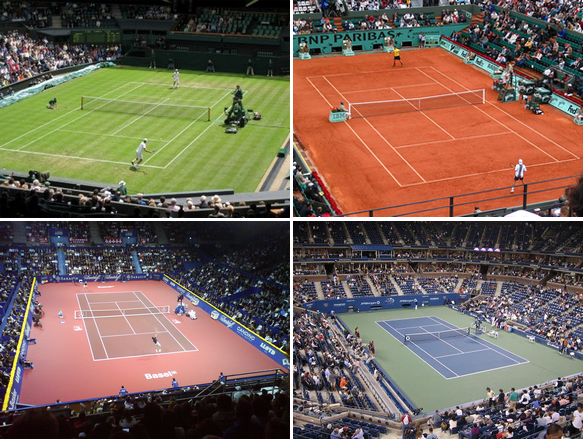 There are 4 surfaces most commonly used in tennis; clay, grass, indoor and hard court. Balls bounce & spin differently off of each court surface, and player movement is greatly affected as well. Before placing a bet on someone, make sure they’re playing on a surface they play well on. If they’re weak on that surface, playing against an opponent who is strong on that surface, this has to be considered. Grass courts are the fastest surface, creating quick points that benefit big servers and the top returners. Since the surface is softer than hard courts and clay courts, the ball doesn’t bounce as high, and less friction under the ball means serves are hard to return. Grass courts are generally slippery, making it difficult to get to the ball quickly. This creates more winners for those who place the ball well and hit hard. One exception to this is Wimbledon, where the court is much harder and slower than most grass courts. The ball bounces higher here than most grass courts, so the players who typically have an advantage on grass courts have much less of an advantage here. The Australian Open and U.S. Open are played on hard courts. With more friction, hard courts create high bouncing balls, and more topspin can change the direction of a ball after it hits the surface. Players tend to get more injuries on hard courts than they do on clay or grass courts. This is because players can’t slide like they can on clay or grass, often causing them to stop on a dime – when they aren’t trying to. Clay courts create high bounces, and slows down the ball. Good returners have an advantage over big servers, because the ball comes up to them, and slows down when it hits the surface. The French Open is the only Grand Slam that uses clay courts. Always know the surface of the courts, and how well your players do on that surface before placing your bets. Court surfaces can give one player a significant advantage over their opponent. In tennis, you can’t assume that because one player is ranked #3, and their opponent is ranked #20, that this is enough information. Some players have a hard time against specific opponents, regardless of their ranking. It’s not uncommon to see a player with better rankings that has a losing record against a player that other top players easily defeat. Always, always, always check head-to-head matchup stats before placing bets. Here are a few tips to help you win more money when betting on tennis. If you’re thinking about betting on a couple of heavily favored players but getting poor odds, look at combining them onto a parlay bet. Since both players have to win, the odds are greatly increased. Winning a 1/5 bet isn’t too exciting, but when combined with another heavy favorite, much better odds can be had. Of course, since both players have to win, you’re more likely to lose the bet, but you’ll take home a much bigger profit if they win. A good time to bet like this is early in a tournament when top players are working through the draw against no-name players who’ve never been on the big stage before. Less experienced players are typically very nervous playing the best in the world, and often get rolled in straight sets. While fitness is important in both men’s and women’s tennis, it’s a bigger issue for the men. In most tournaments, men’s matches are the best of 5 sets. In women’s tennis, it’s the best of three. Most of the women can compete at a high level for three sets, but it’s not always the case for the men. If a player faces a tough match that could go 4-5 sets, or if the weather is particularly hot, fitness can play a major role in the outcome of a match. Some players crumble when they’ve been on the court longer than they’re used to, while other players can play at a very high level all the way through. Most tennis players appear to be fit, so how do you know who’s ready for a long, hot, 5 set match? This information can be found in a couple of ways. For men’s tennis, check stats to see how often each player goes 5 to sets, and their winning percentage in them. If they lose a lot of 5 set matches, it means they’re falling apart later in the match. This could be attributed to choking, but conditioning is usually a big part of it as well. The best way to know about a players fitness is simple and will sound silly at first, but it’s actually very important if you take your tennis betting seriously. Watch tennis. A lot of people betting on tennis only bet on the Grand Slam events, without watching much tennis prior to the matches they’re betting on. There is nothing worse than to make a bet, turn the tv on to watch the match, then hear the announcer say that your player is coming off of knee surgery, was out for 6 months and just started hitting the ball again 3 weeks ago. Of course they won’t be sharp, but their fitness levels will be way down as well. We’ve all done this, and we always feel stupid for it later. What I’m saying is, if you’re going to bet on the sport, become a fan and watch the sport. There’s a reason that online bookmaking is a multi-billion dollar industry and it’s not because the bookies are losing. Only the very best handicappers in the world have an edge on the bookies and even then the edge is small. If you do bet on tennis, do so within your means. Don’t bet with money you can’t afford to lose and make sure it adds to the enjoyment of a tournament for you, rather than the opposite. 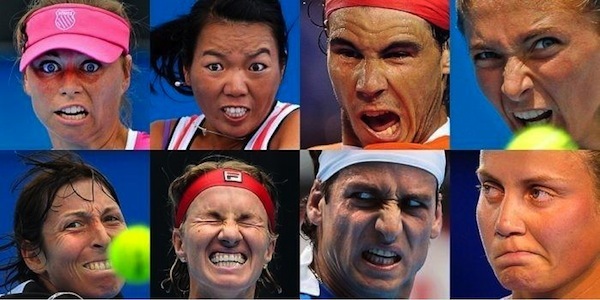 On that note we’ll leave you with a picture from this years Olympic tennis face pulling contest. Good luck!